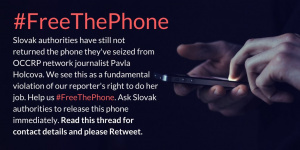 #FreeThePhone: Mobiltelefon an Journalistin zurückgeben! we at Netzwerk Recherche, a German investigative journalists’ association, are seriously concerned about the Slovakian authorities’ attacks on the work of our colleague Pavla Holcová. Source protection is one of free press’ central pillars. The fact that the police has withdrawn and still not returned our colleagues’ mobile phone is a blatant violation of this principle. 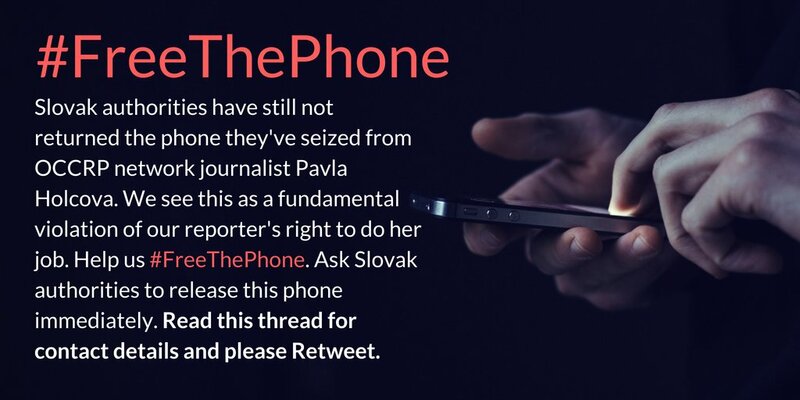 Therefore we ask Slovakian authorities to return the device immediately. It is unacceptable that the police of an European Union member country is obstructing the work of a journalist in this way. Even tough these measures have already caused irreparable damage, we appreciate a swift reply from you acknowledging that at least the working conditions of our colleague will be restored.